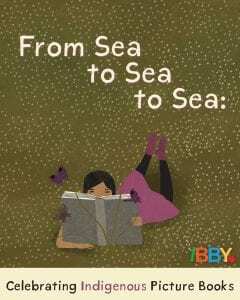 Since Dec. 3, the International Board on Books for Young People Canada (IBBY) has been tweeting a book a day from its new catalogue, From Sea to Sea to Sea: Celebrating Indigenous Picture Books, featuring 100 recommended children’s books by Indigenous authors, published between 1984 and 2017. The catalogue was created as a response to the Truth and Reconciliation Commission’s Calls to Action, with IBBY Canada president Mary Beth Leatherdale co-chairing the project with author and educator Dr. Jenny Kay Dupuis (Nipissing First Nation). IBBY Canada hopes that libraries will add the books to their collections and that librarians, educators, and readers will share the list. The selection committee consisted of Allison Taylor-McBryde, adjunct professor at the University of British Columbia and children’s librarian at North Vancouver District Public Library; Patricia Knockwood (Fort Folly First Nation), Indigenous services librarian for New Brunswick and member of the Canadian Federation of Library Associations’ Indigenous Matters Committee; and Joanne Schwartz, award-winning author and children’s librarian with the Toronto Public Library.